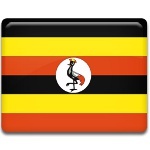 Uganda proclaimed its independence from Great Britain in 1962. Unfortunately, the history of Uganda as an independent state was full of political unrest and included a succession of military coups and a civil war. For instance, in 1985 the military overthrew President Milton Obote. General Tito Okello became the head of the new military government. He opened negotiations with the National Resistance Army led by Yoweri Museveni. They signed the Nairobi Agreement, but the resulting ceasefire did not last long. On January 26, 1986 Museweni overthrew Okello's junta and became President of Uganda. The anniversary of this event was declared a public holiday. NRM (National Resistance Movement) Liberation Day celebrations typically begin on the evening of January 25 with a firework display in Kampala, the national capital. On January 26, a military parade is held on the Kololo hill just outside the city of Kampala. The parade involves all branches of the Uganda People's Defense Force. Other festivities include feasts and sporting events.